The Mountains Of Mourne lyrics were written by Percy French - famous Irish songwriter and entertainer, while the music is traditional (composer unknown). The song Carrigdhoun , which is also a traditional Irish folk song, shares the same tune. 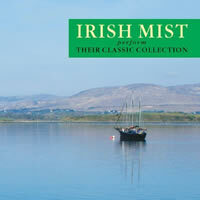 This version by Irish Mist is from the album Irish Mist - Their Classic Collection. Chords: D, G, Em, A, A7, Bm... chord charts below. The Mountains Of Mourne - chords & lyrics (Irish Mist ) - some lyrics have been altered and verse 2 has been omitted... verse 4 is the repeat of verse 1. The Mountains O Mourne - chords & lyrics (Don McLean) - This is perhaps the most popular version where Don McLean calls the song, Mountains O' Mourne. He improvises a little with the melody throughout the song, especially in verse 3... the chord structure remains the same. He tends to sing behind or in front of the beat, but we have kept the chord changes on the beat, as that would be how you would normally sing it. This version is in the key of G Major. "The Mountains Of Mourne" chords and lyrics are provided for educational purposes and personal use only.